Photogrammetry is the science of making precise measurements from photographs. This is achieved through the use of overlapping imagery; where the same feature can be seen from two perspectives it is possible to calculate measurements. This principle is the same as our ability to judge distance and depth using our eyes as we see the same object from each eye. 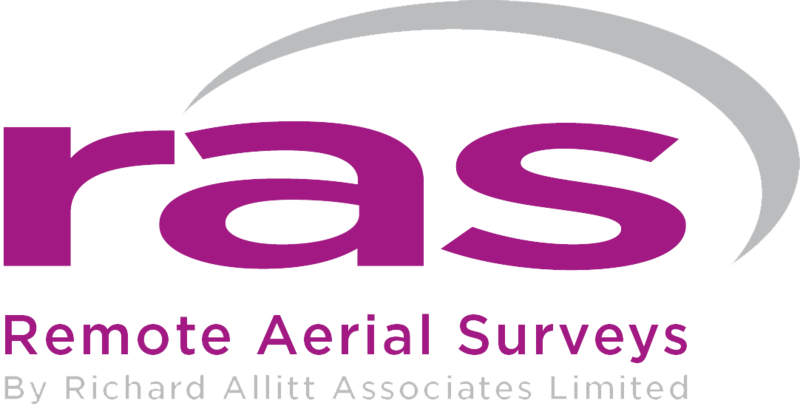 Our photogrammetric surveys are taken at low altitudes (less than 120m) allowing us to capture extremely high resolution overlapping imagery which we can process into very accurate and fully georeferenced elevation models. The result is similar to that produced by laser scans but at a fraction of the cost. 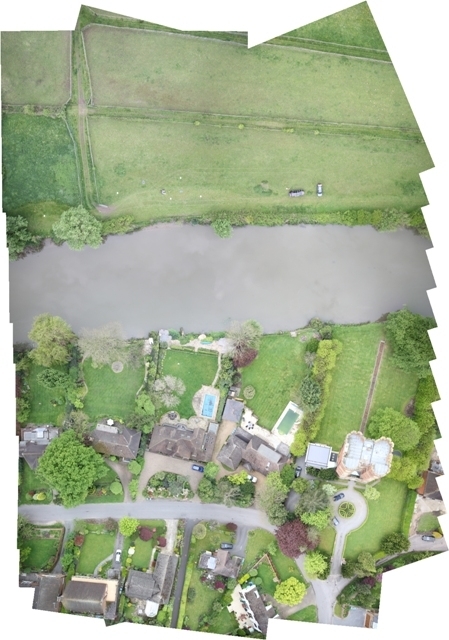 For aerial applications, a series of overlapping images must be collected both in the direction of flight (known as end lap, or vertical overlap) and between adjacent flight lines (known as side lap, or horizontal overlap). The percentage of overlap will vary based on terrain variation and the client’s needs, such as accuracy requirements and ground coverage. We use automated flight control software to ensure the accuracy of our flight plans in getting an exact level of overlap. 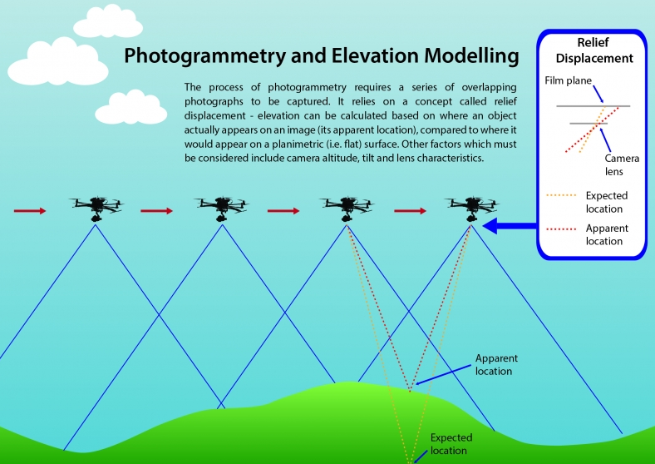 Larger levels of overlap are capable of producing greater levels of accuracy, but require more photographs to be taken and more lines of flight therefore increasing the flight time. Typical levels of overlap are a minimum of 60% end lap and 30% side lap, but these can be increased to 80% in both directions where required.